Ernő Pungor graduated from the Faculty of Chemistry at the Budapest University of Science. After graduating in 1948, he was appointed as an academic assistant to the ELTE because of his excellent abilities and good academic achievements. From there, he started his outstanding education and research career. In 1951, he was appointed senior lecturer, and in 1953, he became an associate professor. In 1962, he became a professor and head of the Chemistry department at the University of Veszprém, and served as that unversity’s vice rector from 1968 to 1970. In 1970, he was appointed as the chair of the Department of General and Analytical Chemistry at the Technical University of Budapest, and he was also the leader for the research group of the Department of Technical Analytical Chemistry at the Hungarian Academy of Sciences. Due to his personality and outstanding skills, he became one of the greatest analytical chemists around the world. Ernő Pungor’s fantastic career is based on the pillars scientific achievements and inventions. He was a school founder, an effective educator, a science politician, and a committed public intellectual who tried to unite all the Hungarian intellectuals of the world. Pungor made important contributions to analytical chemistry, especially to the ion-selective electrodes and hydrodynamic voltameter (flow-cell, flow analysis). He played a significant role in the establishment of the Hungarian chemical instrument production. In addition to his work for the department, he also served in leadership roles. From 1972 to 1981, he was the dean of the Faculty of Chemical Engineering. Between 1990 and 1994, he was a minister, responsible for R&D. 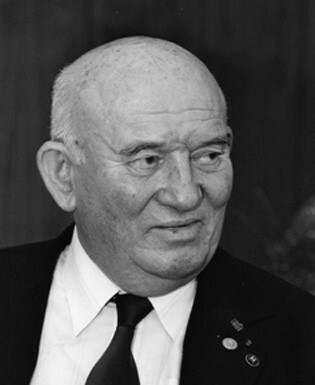 He was also the chair of the National Technical Development Committee (called: OMFB) and the Hungarian Atomic Energy Authority, and between 1992 and 1994, he was the chair of the Hungarian Space Research Council. In 1999, he was a member of the Scientific Advisory Board of the Government. He also worked as an editor of some Hungarian and foreign journals, and served as an officer with several Hungarian and foreign professional associations. The Prize was founded by the Hungarian Academy of Sciences and the heirs of Ernő Pungor on the worthy preservation of the memory of Ernő Pungor, who was an outstanding figure in scientific life. The prize is for the recognition of researchers and professionals under the age of 45 who have gained outstanding merit in chemical scientific research.